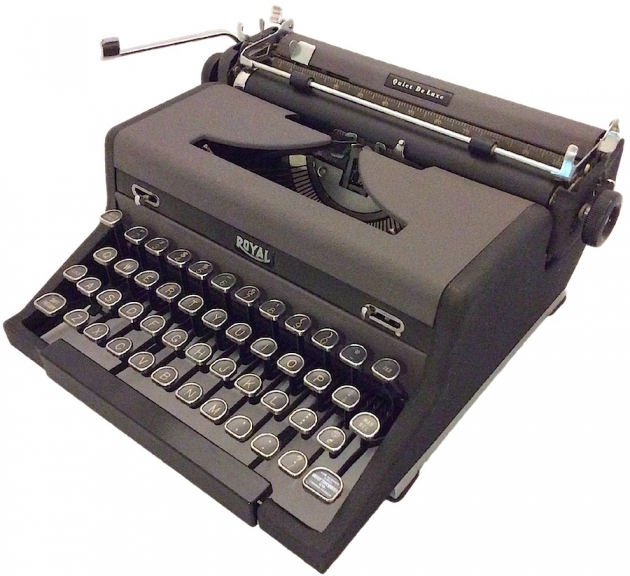 Mark Adams 1948 Royal Quiet De Luxe Serial # A-1718862 1948 Royal Quiet De Luxe typewriter, Serial # A-1718862 Mark Adams's 1948 Royal Quiet De Luxe typewriter. 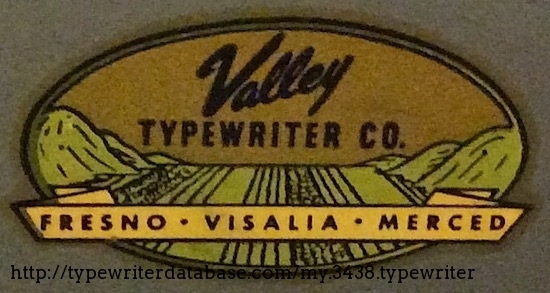 2014-10-11 2014-10-11 From the Virtual Typewriter Collection of Mark Adams: 1948 Royal Quiet De Luxe Serial # A-1718862 A Royal Quiet De Luxe displaying a dealer sticker from Valley Typewriter Company (Visalia, Fresno, Merced). 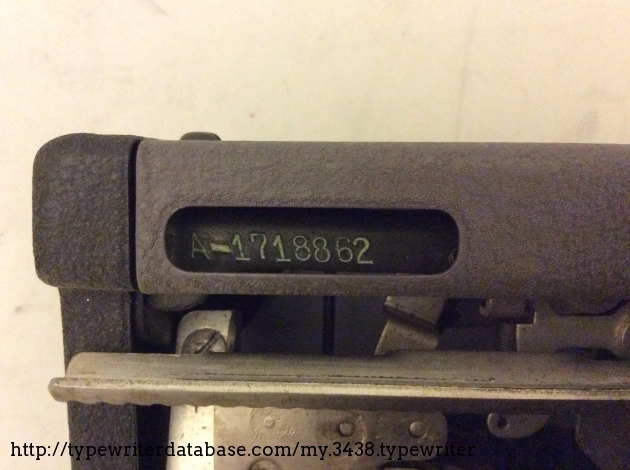 One is placed over the right shift key, and one on the inside cover. "Shift Freedom" means the basket moves for upper and lower case typing, not the carriage (less distracting, Royal claimed). 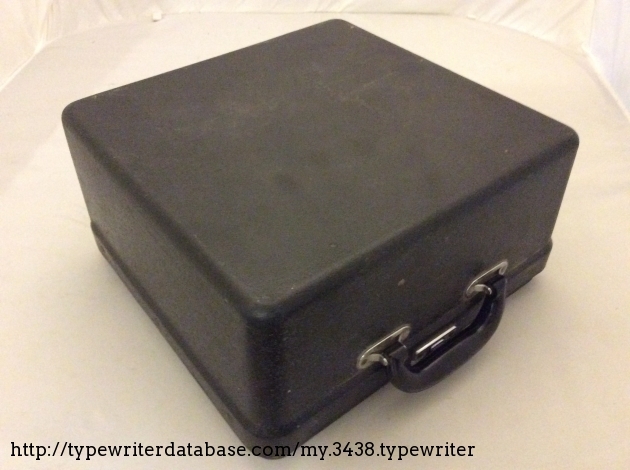 Got this one at a thrift store, where the Quiet De Luxe abounds, testifying to its success. Came with a hard (plastic?) case. 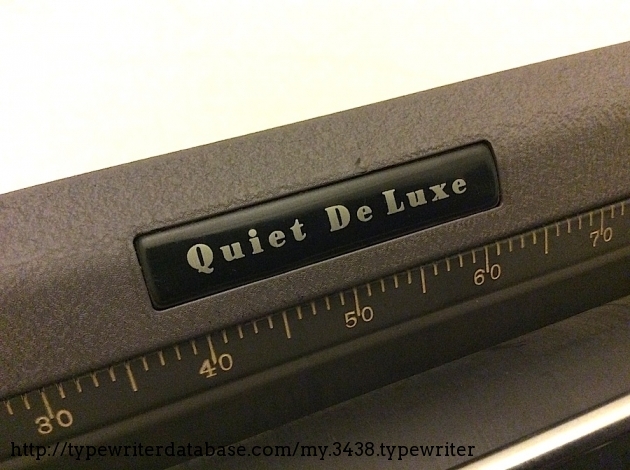 If you compare this one with my 1947 Quiet De Luxe (Serial #A-1344297 - listed at TWDB) you will note some striking differences in design. 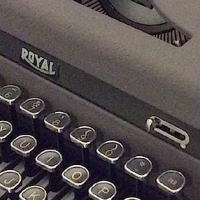 A Royal Quiet De Luxe displaying a dealer sticker from Valley Typewriter Company (Visalia, Fresno, Merced). 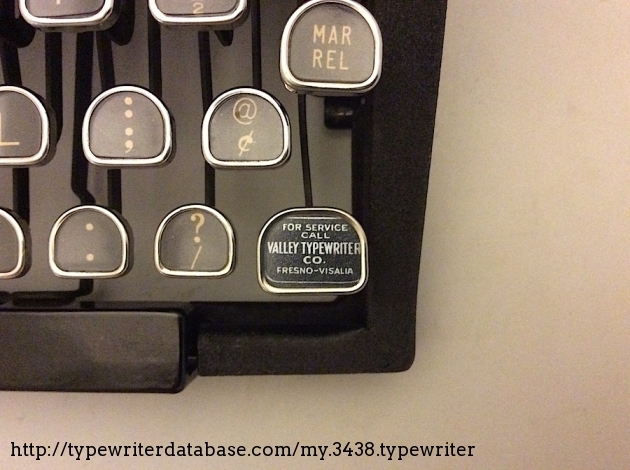 One is placed over the right shift key, and one on the inside cover.